This mysterious object naturally drew the curiosity of the director of the National Museum of Iraq. Upon discovering the object in the museum’s collection, Konig published a paper in 1940 on his reasons for believing that the object was an ancient battery. He speculated that it, along with nearly a dozen other similar batteries, was used for electroplating gold onto silver objects (6). Other experts have concurred with Konig (6). Willard F.M. Gray, learned about Konig’s hypothesis and put it to the test. In 1940, he constructed a replica of the battery and filled it with a copper sulfate solution. The battery produced half a volt of electricity. Other replicas of the Baghdad battery, using grape juice as an electrolyte to transmit the electric current, have produced a current of just under one volt per battery (6). Arne Eggebrecht, the director of Roemer and Pelizaeus Museum in Hildesheim (16), constructed a replica of the Baghdad battery in the 1970s (6). Using fresh grape juice in his replica–what he considered to be a more authentic electrolyte than that used by Gray–Eggebrecht succeeded in producing 0.87 volts (6). Then, Eggebrecht connected several of these replicas together with wire. Using the series of connected batteries, he claimed to have deposited a thin layer of silver–one ten thousandth of a millimeter thick–on another surface (16). Some skeptics have said that the copper cylinder was used for storing scrolls, but have not been able to account for the corroded iron rod and the asphalt or bitumen cap and why all three components were found together. Some decades before the discovery of the Bagdad batteries, an object that had rested on the bottom of the Mediterranean Sea for thousands of years, had been discovered by divers off the coast of Crete, causing many historians to change their views on ancient history. In 1901, a team of divers were in search of sea sponges between the coasts of Crete and mainland Greece. They got a real surprise when they discovered a sunken ship with treasure onboard: treasure unlike anything they had expected. Inside a wooden box was an object made of many corroded, bronze gears (5). When scientists x-rayed the artifact, they found that it was composed of approximately 30 gears (22). In 1959, after much research on the Antikythera Mechanism, Derek Price, a British historian, theorized that the mechanism was used for astronomy to make calculations. 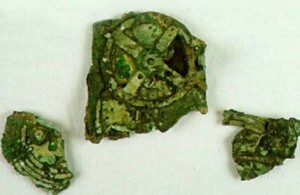 According to Antikytheramechanism.org, the “complexity of the gears found within the Antikythera Mechanism baffled scientists, since this type of ‘technology’ was not though to have been in existence until around 1575” (5). Scientists have determined that the ancient device was built around 87 B.C. (22). 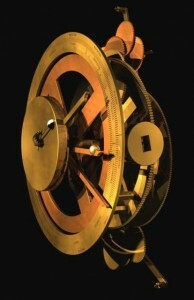 Many scientists have built on Price’s work, agreeing that the Antikythera Mechanism was a kind of early computing device. It proves that ancient people knew that the Earth orbited around the Sun (5). It also shows that while some philosophers, such as Aristotle, believed that the Sun orbited around the earth, others knew better. Generally I don’t read article on blogs, however I wish to say that this write-up very compelled me to take a look at and do so! Your writing taste has been amazed me. Thank you, quite nice post. Antikythera looking like high end clockwork.. some work we hardly manufacter today. Wonderful points altogether, you simply won a new reader. What may you recommend about your submit that you just made some days ago? Any certain? ancient atomic knowledge Unexplained glass fields Ancient sheets of fused desert glass are a geological fact. Lightning is largely ruled out as the cause of these glass fields by geologists, who proffer the theory that they were produced by meteor or comet . Added daily to our website.